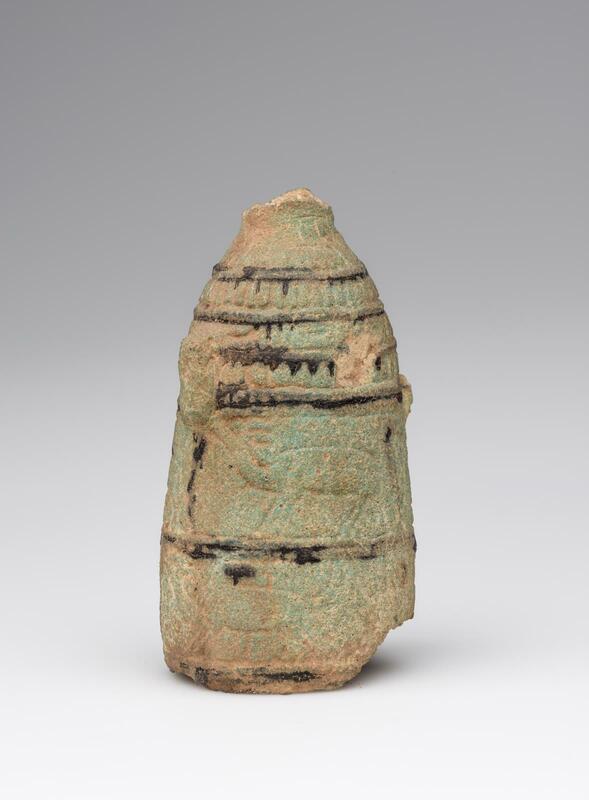 Fragmentary vase pale green of alabastron shape with two small vertical handles; decorated in relief in several horizontal bands separated by black lines; (from top down:) bands 1-3: floral motifs, bands 4 and 5: rows of animals. Missing: rim, part of neck, one handle, large part of body, bottom. Hoyt Collection no. 667. Said to come from Cnidos (Asia Minor).